Dexway Primary and Dexway Secondary strengthen their links with the rest of the students’ curriculum to offer a global language education, which supports other subjects and helps students grow as people by working on some abstract concepts. Each education level is unique and has its own specific requirements. Therefore, Dexway’s blended learning language courses are tailored to each cycle, offering personalized learning. 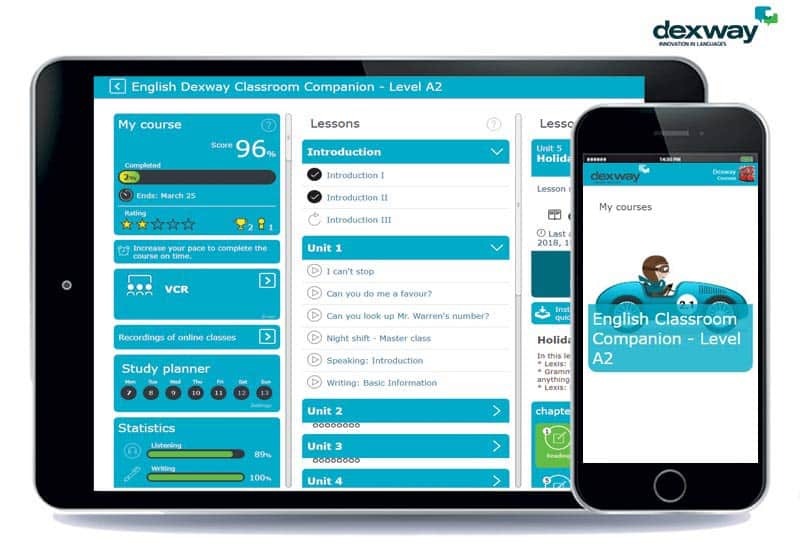 The courses Dexway Primary Classroom Companion and Dexway Secondary Classroom Companion for learning English in the classrooms have been developed by adapting contents and materials to the appropriate ages. The levels of English Dexway Primary Companion are suited for students between 7 to 12 years old (A1, A2). The contents are adjusted to their intellectual development with age-appropriate examples and exercises. For the youngest age groups, it is easier for students to lose their focus. Therefore, these courses have stimulating dialogues and numerous multimedia resources (flash animations, word searches, related readings) to capture and hold their attention. Along the same line, secondary students will find topics from courses in other subjects such as geography, history, language, art or science in American Dexway Secondary Classroom Companion. 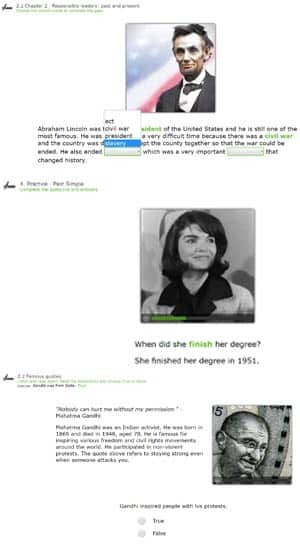 Within all the units there is a famous quote from relevant people in history (Mahatma Gandhi, Jacqueline Kennedy, William Shakespeare) who have already studied, so that they can also deepen their ideas in other languages. In this way, the secondary courses provide a 360º education where English courses relate to topics from other subjects. To accomplish this, the courses have been designed by following the curriculum of prestigious international schools. These new courses, for students from 12 to 16 years old (A2, B1, B2), deal with culture on a global level and promote tolerance towards others by reflecting on topics that help them grow as people (eating a healthy diet, charity or future career). In addition, like the rest of the Classroom Companion range, these versions for primary and secondary school are the perfect supplements for face-to-face classes. Far more comprehensive than publishers’ digital extensions, Companion courses offer more than 150 lessons for primary students and more than 250 for secondary. A comprehensive support that provides students and teachers with material to work on in the classroom and at home, reviewing what they have learned through interactive exercises, additional activities or the school’s exclusive online communities. Dexway’s Companion courses put teachers at the center of the training, giving them full control. The courses are completely customizable: the order of the units can be rearranged and each image, video or exercise on the syllabus can be changed or deleted. Teachers have the option to choose if they give students access to the syllabus before or after class; they can also apply successful methodologies such as inverted classroom or flipped classroom. Like all Dexway courses, Companion offers a natural progression from 0 to 100% of the syllabus, without gaps, and includes language immersion, partial and final assessments, voice recognition with a color evaluation system and gamification to engage students and keep them interested until the course is completed.